I adapted this idea from ornaments by www.bystephanielynn.com. I made them 3D on both sides. 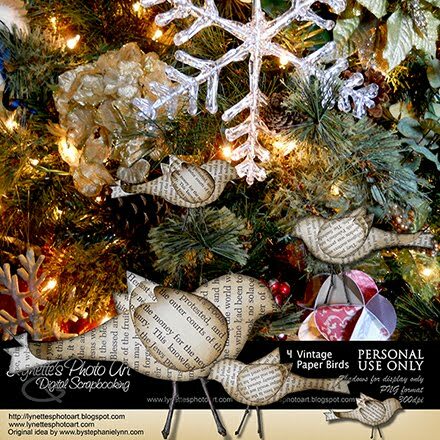 They look so lovely on my tree that I wanted to add them to my digital scrapbooking pages too. I hope you enjoy these little treasures as much as I do! Click the image below to enlarge. Click the Buy It Now Button to purchase from my Paypal Store for $2.99. 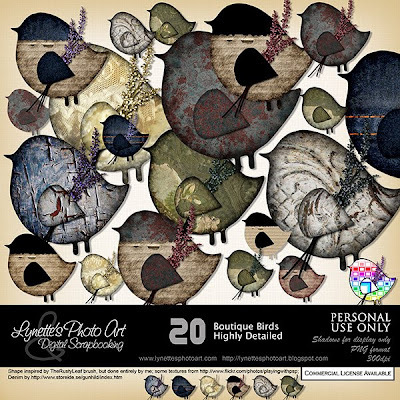 Today I'm giving you the freebie that is offered with my Boutique Birds Kit. Enjoy!